Where do OEM repair networks fall regarding auto body shop choice laws? On Tuesday, we looked at how Progressive’s emails directly to customers about Service Center middlemen stood regarding state shop choice law. Today, we look at another nontraditional method of recommending collision repairers: OEM repair networks. Realizing the brand damage possible from a poor repair, mainstream automakers have launched certified repair networks and have begun promoting them online and in customer-specific-marketing. Most recently, Cadillac pledged to mention its CT6 collision repair network to customers when the luxury car is delivered. Meanwhile, insurers are promoting direct repair program networks of their favorite shops. It’s possible customers could receive mixed messages about which network to patronize as early as when they drive a new car off a dealership lot. Because of the influence insurers have on which collision repairers get their customers’ business, states have passed laws spelling out that policyholders must understand they can patronize whomever each customer wants. The Code seems to apply to insurers only, an intent probably shared by similar rules in other states. But such language raises the question of what responsibility an OEM with an arguably similar interest in its network has to promote shop choice as well — especially in instances like the CT6 where not all shops will be capable of meeting the automaker’s requirements of specialized operations. Of course, OEM networks and DRP networks are two very different things. DRP networks are intended to keep costs down for insurers and dispense volume to shops. OEM networks are intended to find shops who meet requirements surrounding training, equipment and capability. The CT6 is a luxury vehicle that uses technologies and materials that are different than many vehicles today. However, the materialsand repair processes are not new to the marketplace. Its extensive use of aluminum and unique joining methods of rivets, screws, adhesives and welding result in a specific repair process with specific tools. In order to ensure that the CT6 is repaired according to the strict repair procedures using the correct tools a specific network needed to be established to help manage and support the structural repair of a Cadillac CT6. 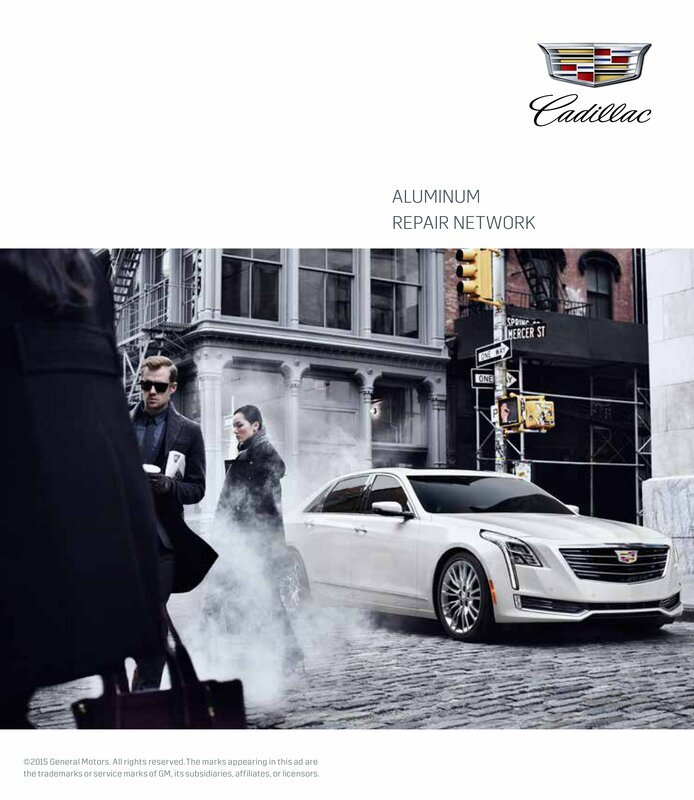 Cadillac dealers and independent body shops are welcome to join this network program as it is not exclusionary. The fees associated with the program cover the audit of the participating shop and the administration/ongoing support of the network. The fees are the same for all participants. As Cadillac does with all other vehicles, the Cadillac CT6 repair procedures are made available to the marketplace free of charge and can be accessed via genuinegmparts.com. Repair procedures of the Cadillac CT6 can be broken down into two (2) types. Cosmetic (bolt on exterior parts). 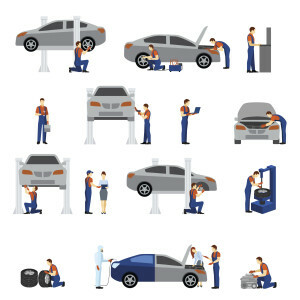 These repairs are able to be performed by any qualified body shop. Body shops do not have to be a part of the program and can order these non-structural parts. Structural repairs require the body shop to be properly trained on the specifics of the CT6 (web-based classes are available for all to take but are part of the fee if joining the Cadillac Aluminum Repair Network). Additionally, there are specific tools and processes a body shop must adhere to and follow to ensure the proper repair and restoration of a CT6 back to the OEM specifications. GM and Cadillac are helping educate the insurance community by making available information on the Cadillac CT6 so that they better understand the vehicle and the specific repair requirements. It should be noted that this is not unique to the industry as many other luxury OEM brands have similar programs and networks. GM and Cadillac do not discriminate any shop from participating, pending they agree to the network requirements, fees and successfully complete the audit and agree to use the OEM procedures to ensure the best repair outcome.